Students or Observers desiring to rotate or shadow at ASPIRUS HOSPITALS or ASPIRUS CLINICS with a PHYSICIAN, PHYSICIAN ASSISTANT, NURSE PRACTITIONER, or CRNA should contact Michelle Winowiski, Medical Education Coordinator, at michelle.winowiski@aspirus.org or 715-675-5288. The approval process for students/observers following Physicians, PAs, NPs, or CRNAs at Aspirus Hospitals and Aspirus Clinics is summarized below. PLEASE NOTE: The Aspirus Office of Medical Education will seek to accommodate every request. However we cannot guarantee that all requests can or will be provided a rotation or observation (shadowing) placement. We will begin considering rotation requests for the upcoming academic year in May. ADVANCE NOTICE: Advance notice is required; to be as much time as possible prior to a planned rotation (ideally several months) but at no time is it to be less than 30 days’ notice. Are you an Aspirus Employee? GOOD STANDING: Letter of good standing from the student’s school. The school will need a current academic affiliation in place using the Aspirus Academic Affiliation Agreement (school initiated versions will not be accepted). If there is not an Aspirus Affiliation Agreement with the school on file this too must be completed prior to any rotation. Submission of a completed WI and/or MI (depending on rotation site) Caregiver Background Check on each student . Measles, mumps, rubella (MMR), Hepatitis B, Tetanus, Diphtheria & Pertussis (Tdap) and chicken pox. Two PPD skin test results, most recent from the past year, not to expire during the rotation. Proof of flu shot (October-May) or mask. PROVIDER APPROVAL: Approval from the physician or allied health provider that includes the date range of the rotation experience. APPROVAL: Once we have received these four items, the student file will be submitted for approval. Wisconsin and/or Michigan Caregiver Background Disclosure form. Orientation Requirements & Acknowledgement of Completion form. 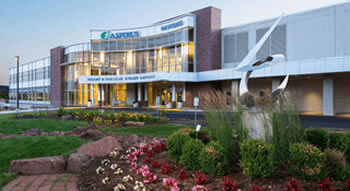 A brief hospital orientation with will be scheduled before any rotations/shadowing can take place in Aspirus Wausau Hospital. NOTE: Observations (shadowing) are limited to 6 hours per learner per year. Surgical observations (shadowing) are limited to 4 hours. Additional days can only be provided with additional authorization and require a compliance and paper work process consistent with that of a clinical rotation. You must be at least 16 years old. ADVANCE NOTICE: Advance notice is required; to be as much time as possible prior to a planned observation/shadow (ideally two months) but at no time is it to be less than a two-week notice. PROVIDER APPROVAL: Approval from the physician or allied health provider that includes the date of the shadowing experience.